Qur'an School Sprouting Education Style! Click on item to be taken to Amazon to purchase items if availability is indicated. 6:00 to 6:30 All levels come together to recite Surah Nas to Duha in unison. 6:30 to 7:00 Each level goes to a table with their color only to receive instruction. Objective: Memorize Sura Fatiha. Identify the letters in their basic forms. Objectives: Memorize Suras Nas, Falaq, Iqlas. Identify the letters in their different forms. Objectives: Memorize Suras Lahab, Nasr, Kauthar, and Kafirun. Pronounce letters with short vowel sounds. Objectives: Memorize Suras Maun, Fil, Quraish, Humaza. Read words with long vowel sounds. Objectives: Memorize Suras Asr, Takauthar, Qariah, Adiyat. Read words with Sukoon. Objectives: Memorize Suras Zilzal, Bayinna, Qadr, and Alaq. Read words with Tanween. Objectives: Memorize Suras Tin, Inshurah, Duha, and Lail. Read words with Shaddah. Objectives: Memorize Suras Shams, Balad, Fajr, and Qarshiah. 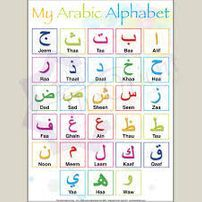 Apply Qalqalah, Ghunnah, Mad, and pronunciation of the strong letters. Complete 20 hours of teaching students on the White level. Objectives: Memorize entire Juz Amma. Apply Ahkammul Nun, As Sakeena Ahkammul, Meem As Sakeena. Complete 20 hours of teaching students on the Beige level. Objectives: Memorize Juz 29. Apply Madood, and Tahkeem. Complete 20 hours of teaching students on the Lavender level. Objectives: Memorize Juz 28. Apply Tarqueen, Ehtida. Complete 20 hours of teaching students on the Purple level. Burgandy Level: Memorize Juz 27, 26, and 25. Apply all Tajweed rules with fluency using color coded Qur'an. Complete 20 hours teaching students on the Light Blue level. Grey Level: Memorize Suras Kahf, Mariam, Yaseen, Nur. Apply all Tajweed rules with fluency using color coded Qur'an. Complete 20 hours teaching students on the Navy level. Black Level: Memorize the whole Qur'an. 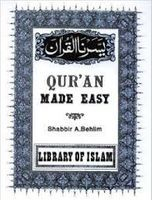 Apply all Tajweed rules with a standard Qur'an. Become familiar with the 8 recitation styles. Improve voice, and recite one Juz in a second recitation style. Complete 20 hours teaching students on the Light Green level. 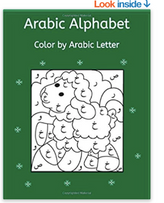 Haruf Builder: Use baggie of foam letters to create the Arabic alphabet in order. Start by looking at a paper copy and then doing it from memory. 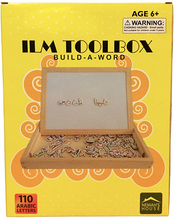 Haruf Sorter: Use multiple baggies of foam letters to sort letters into in a tackle box. Playdough Haruf: Use play dough to make Arabic letters or words. 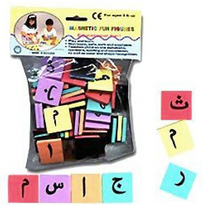 Haruf Memory: Use two sets of matching cards with Haruf or words from the 80% of Qur'anic words to play a game of Memory. Be sure to read each card as it is turned over. Magna Doodle Haruf: Use a magna doodle toy and a baggie of foam magnetized letters. Use the letters to stamp Haruf on the magna doodle toy. Trace the letters with the magna doodle pen. Haruf Puzzle: Require students to state the letter name as they put them in the puzzle. Haruf in various forms: Have the student sort letters into columns to show if the letter occurs in the beginning, middle, or ending form. 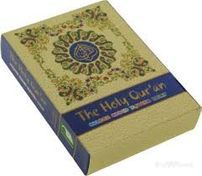 Haruf search: Cover some Qur'anic words or verses with clear plastic. Have the student search for the letter and circle a target letter with a Vis a Vis Marker.